As a kid, sour cream and onion potato chips were one of three absolute favorite grocery store snacks, beef jerky and dill pickles being the other two. As I got older, I was gradually awakened to the deflating reality that those powdery green-flecked slivers of potato-esque goodness weren't as transcendent as I had once believed. 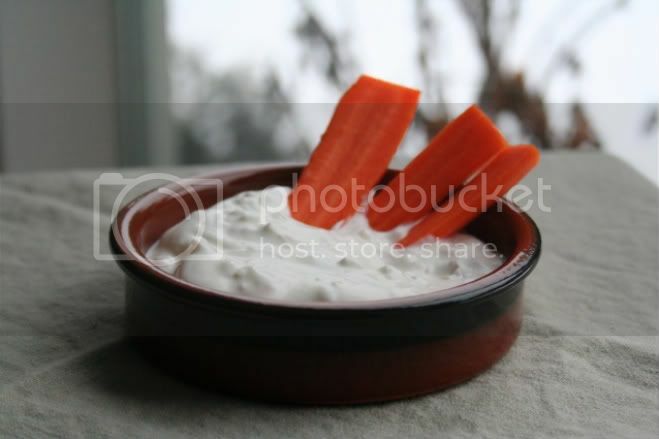 Fast forward through 20 years of relative snacking disappointment until last year when The Scientist's cousin-in-law made us this dip. Sour cream n' onion is back, only now it's genuinely tasty. Of course this recipe isn't Iraqi, but it is a family favorite, so enjoy! Stir to combine and refrigerate 1-4 hours before serving to allow flavors to develop. It's good the next day, too! This recipe is a welcome and additive-free addition to party trays. Serve with potato chips (of course) or cut veggies such as carrots, celery, sweet peppers, broccoli, cherry tomatoes or mushrooms, as a sandwich spread, on baked potatoes or chili, or anywhere you'd like a cold and creamy punch of rich oniony flavor. 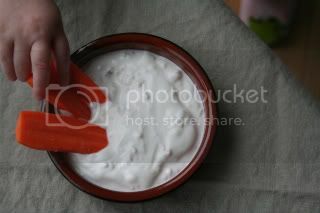 The richness of this dip can be adjusted easily by which yogurt you choose. I prefer whole milk Greek yogurt, but 2% or fat-free could be subbed in. The texture and mouth feel would be affected, but if you'd like to reduce fat content, they are acceptable alternatives to whole milk yogurt.